Great for picking up dust and allergens. High-performance filter captures and traps more fine dust and allergens. 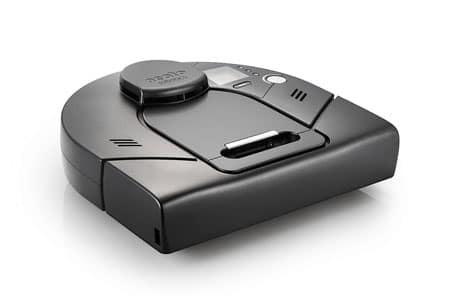 Patented laser-guided technology scans and maps the room, plans, and methodically cleans, automatically moving from room to room. Bigger brush, filter, and dirt bin pick up more dirt and debris than round robot vacuums. Schedule daily cleanings or push a button for instant multi-room or spot cleaning. Automatically goes back to charge base, then returns to where it left off.